Maxthon, a hybrid web browser from China, has gained a huge crowd of followers in its own homeland and quickly took over the first spot from the Internet Explorer itself. However, when it comes to a global market share, thing are quite different. 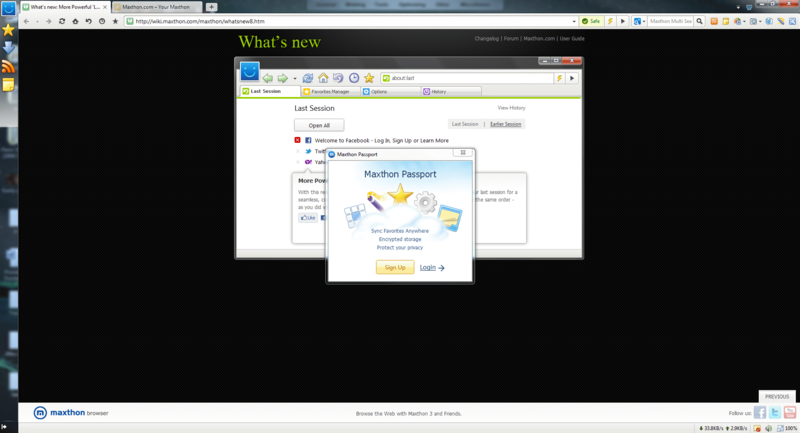 Microsoft’s IE is still in the lead while Maxthon is miles away from being a “must have” alternative. Can the upcoming Maxthon 3.2 release change things for good or does it still lack polish and should not compete with the big boys? We go hands on to find out! And how to fix them. Part 1. Although the web browser user interface keeps evolving, it looks like from time to time some random programmer (who has no design experience) decides to implement a feature and mess things up. And you know what the worst part is? It looks “fine” to him/her and change is approved by management who has no design experience as well. Or at least it looks this way. 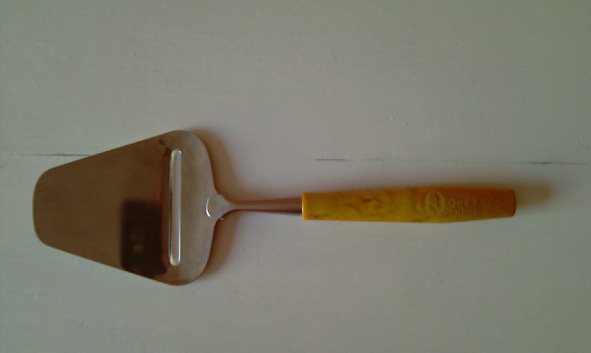 If you haven’t heard about Opera Software yet, it’s a cheese slicer manufacturer, based in Oslo, Norway. As you might know, they sent us a pack full of goodies. Being a good fellow as I am, I have decided to review one of their products: a cheese slicer. uZard Web P is yet another web browser for Windows Mobile and BlackBerry platforms. Just like its competitors, this browser has its strengths and weaknesses. uZard uses approach similar to Opera Mini, which is beneficial in many ways: lower memory footprint, easy updating and more (does not mention compression). It does indeed support Flash and Silverlight (also other audio/video formats), however, when it comes to actual browsing, you might want to look somewhere else. The time has come to compare most popular web browsers developer tools: Internet Explorer 8 Developer Tools, Firefox Firebug (1.4), Safari Web Inspector (r46183) which is similar to Google Chrome Developer Tools and Opera Dragonfly (Alpha 3). Those are default installed web browsers/extensions with no settings changed. This is a mini comparison which focuses on elements inspection, source modification and overall usage rather than advanced tools. If you find yourself using features such as script debugging, elements loading speed, etc. this review might not be very helpful. Today ComputerWorld.com has posted a complete review of the new IE8 features. For instance: tabs isolation (Chrome alike), address bar improvements, closer tabs re-opening, accelerators, web slices, new security, privacy features and much more as well as reviewer’s conclusion of browser itself. I was playing with the public beta of Windows 7 for a while now and decided to show you a few neat features of it while browsing with Internet Explorer and just show the overall experience. 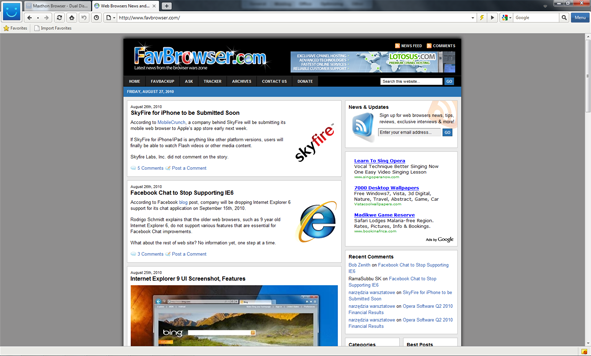 Windows 7 shows all opened tabs on Internet Explorer 8. Some time ago I’ve received an invitation to try Pogo Web Browser so downloaded Pogo 1.1 Beta and started to play with it. First thing I noticed during the download process was its size. Pogo is a heavy browser and its installation uses more than 50 megabytes (54.5 MB) of disk space.